On November 11 of this year, the American people will observe the 100th anniversary of the end of World War I, which led to the creation of Veterans Day. As the tenth Secretary of the Department of Veterans Affairs, the Hon. 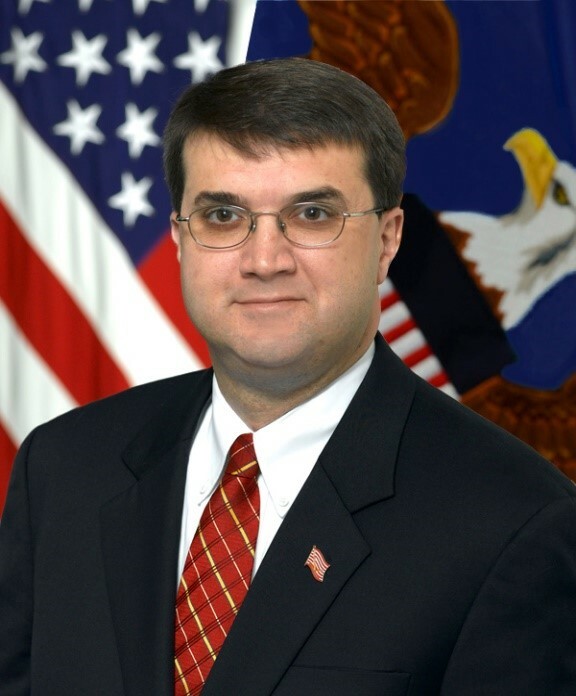 Robert Wilkie is responsible for overseeing the care of more than 20 million U.S. veterans and their families. Mr. Wilkie, who was nominated for the position by President Trump and sworn into office on July 30, 2018, will assess the performance of his Department and outline his goals for the care of our nation's Veterans just before the Veterans Day holiday at a National Press Club Headliners Luncheon on Friday, November 9. Before confirmation as VA Secretary, Mr. Wilkie served Secretary James Mattis as his Under Secretary of Defense for Personnel and Readiness. The son of an Army artillery commander, Mr. Wilkie spent his youth at Fort Bragg, and has more than 20 years of federal service at the national and international level. Today, he is an officer in the United States Air Force Reserve assigned to the Office of the Chief of Staff. Before joining the Air Force, he served in the United States Navy Reserve with the Joint Forces Intelligence Command, Naval Special Warfare Group Two, and the Office of Naval Intelligence. Mr. Wilkie was Vice President for Strategic Programs for CH2M HILL, one of the world’s largest engineering and program management firms, where for five years he held program management and advisory assignments as diverse as the London 2012 Summer Olympics and the reform and reorganization of the United Kingdom Ministry of Defense Supply and Logistics System (DE&S). Mr. Wilkie holds an Honors degree from Wake Forest University, a Juris Doctor from Loyola University College of Law in New Orleans, a Master of Laws in International and Comparative Law from Georgetown University, and a Masters in Strategic Studies from the United States Army War College. A graduate of the College of Naval Command and Staff, Air Command and Staff College, the United States Army War College, and the Joint Forces Staff College, Mr. Wilkie has published articles in the Naval War College Review, Parameters, Armed Forces Journal International, Air and Space Power Journal, and Proceedings. He holds personal and unit decorations, as well as the Defense Distinguished Public Service Medal, the highest non-career civilian award of the Department. Please call Alan Schlaifer at 301-365-8999 if you'd to be considered to attend the reception (if there is one) from 12:30-1:00 pm with the speaker. (He may only bring a few guests, preference for President's Club and Lifetime Members). ... a total of 4 guests.